I was never conscious of how I look. I only exert an effort to at least look presentable. I don't have a beauty regimen or religiously take nutritional supplements. I thought I could manage to feel young forever. They say age is just a number. 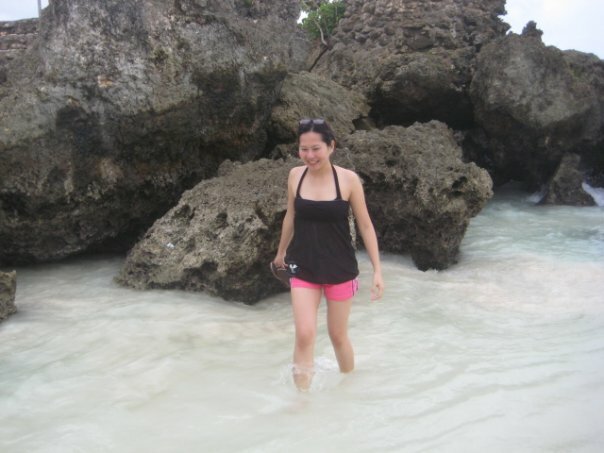 But when I turned forty, I started noticing changes in my body. Although it's flattering when people tell me I look younger than my age, I wish I could say I also feel younger than my age. An old photograph resurfaced on my facebook memories. This was a candid photo taken by my husband a decade ago on my 32nd birthday. I really thought I was fat back then. I guess I was not but I am now. My metabolism is slower. My skin is also showing signs of neglect. Is it too late for me to defy aging? I've been reading about collagen and hyaluron as prime ingredients in beauty products. I am curious with creams and serums that promises a youthful glow. But I believe that in order to have a beautiful skin, you must start from the inside. It's my 4th day of taking Premium HyC150 every morning. This powder dietary supplement from Japan has Hyaluron and Collagen plus Ubiquinol. So, how will these key ingredients help me defy aging? The amount of collagen in our body depletes as we age. At 42, my collagen level is now at 60%. Collagen is responsible for the skin's elasticity, protects our organs, and makes our bones, muscles, and joints healthy. The most popular benefit of collagen is its ability to reverse skin aging. A study showed that women who take collagen in as short as four weeks will notice an improvement on their skin's elasticity and texture. Collagen can also help reduce the appearance of cellulite. Hyaluron helps the collagen in providing more moisture for the skin and aids in the lubrication of the bones and joints. Ubiquinol boosts energy, enhances immunity, and strengthens the heart. A change in lifestyle is very important. I no longer stay awake beyond midnight. I try to consume less meat and processed food and include more fruits and vegetables in my diet. It's a struggle for me to give up carbonated drinks right away but I have limited my intake to one glass a day and drink more water. I have also skincare regimen. I am now acknowledging the importance of moisturizer and sunblock. Of course, HyC150 is already a part of my breakfast. Suggested intake is one sachet diluted in 6 to 8 ounces of water. I prefer it mixed with my favorite chocolate drink in the morning. You can also add it to your yogurt or breakfast cereal. 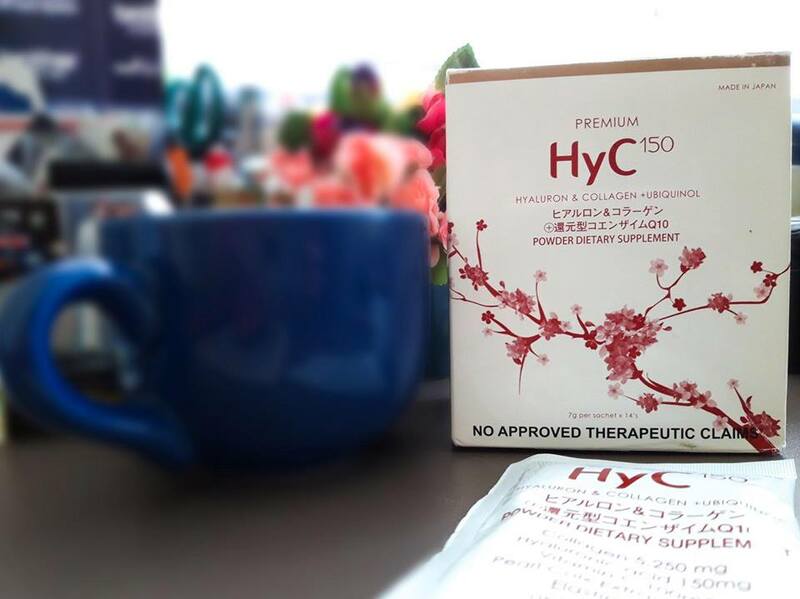 A friend of mine adds HyC150 in her black coffee.